Operating 24 Hour's a day our philosophy is simple, support & exceed the expectations of our customers at every stage. From fast quotations to quick delivery even with high volume parts. Dutton uses Laser cutting to cut materials with a high degree of consistency and precision. A computer is programmed with the exact co-ordinates of the shape to be cut. It then directs the output of a 4 KW industrial laser at the material to be cut, leaving an edge with a high quality surface finish. An important advantage of laser cutting over mechanical cutting is the lack of physical contact, since there is no cutting edge which can become contaminated by the material or can contaminate the material. Precision is also enhanced since there is no wear on the laser. There is also a reduced chance of warping the material being cut, as laser systems have a small heat-af fected zone. This means that plastic coated materials can also be cut successfully. The “Dutton Laser” service works night and day, five days a week, which means that your items can of ten be turned around immediately. If your enquiry is received by mid-afternoon, and we have the material in stock, or if you freeissue the material, then your jobs can be laser cut overnight. 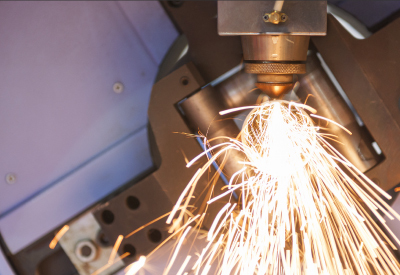 The laser can cut steel, aluminium or stainless steel from 0.5 mm thick to a maximum of 10 mm (Aluminium); 15 mm (Stainless Steel): and 25 mm (Steel). 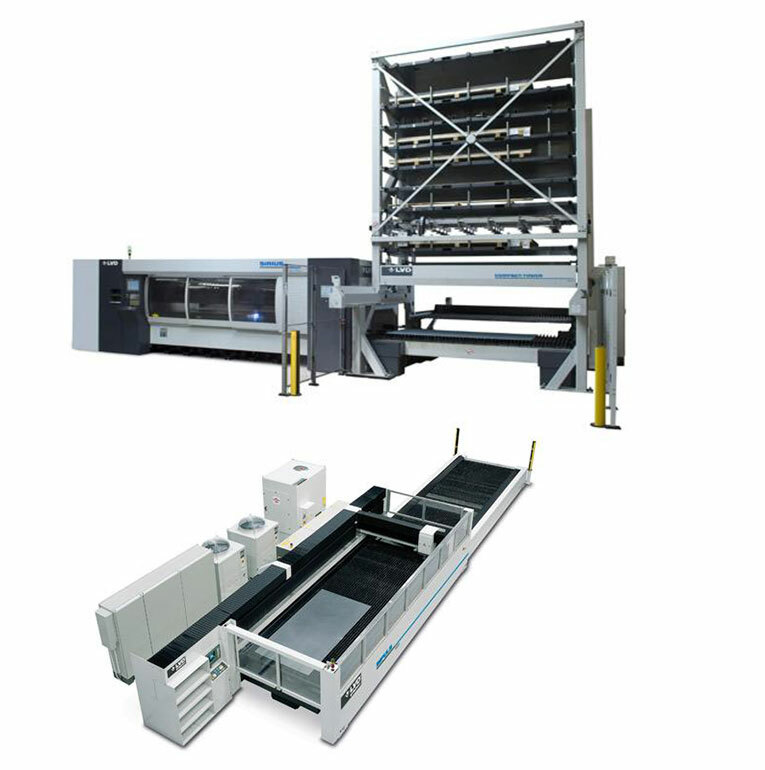 It handles sheet sizes up to 4,000 x 2,000 mm and cuts with a repetitive accuracy of 0.02mm. Useing the LVD impulse machine enables us to cut tube sections up to 4m length and 500mm diameter. The 4Kw machine can cut tube wall thinknesses up to 20mm in mild steel and 15mm in stainless steel. Far quicker than machining Tube Laser cutting is a good soloution for frame assemblies. Members of the Association of Industrial Laser Users.